The Institute of the Brothers of the Christian Schools has released Circular 469: The Documents of the 45th General Chapter, which includes 52 propositions generated to respond to the needs of the international body and revisions of the Rule. 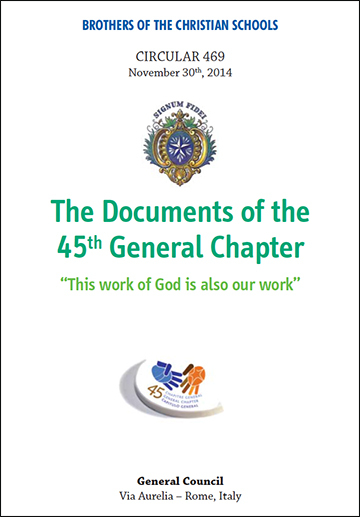 These Acts of the 45th General Chapter follow the gathering of 89 capitulants at the Generalate in Rome April 22 – June 8, 2014. The Brother Superior and General Council met in September and October to build on the post-Chapter editorial team’s work, which resulted in Circular 469.